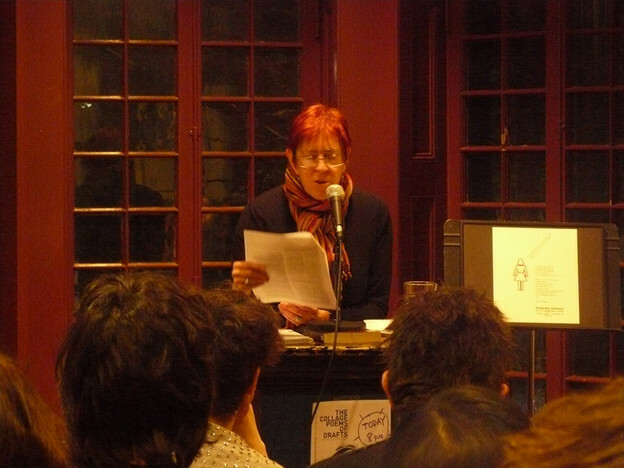 Rachel Blau DuPlessis reads at Kelly Writers House, Philadelphia, March 3, 2011. Pitch, Rachel Blau DuPlessis’s latest installment of her lifelong project, Drafts, continues, like Freud’s endless analysis, to loop and coil around the here and now, as we stumble through its shadowy portals, nomads and phantoms in this public anatomy of loss, memory and the human web. Writing as a social practice that structures the said and the unsaid, here takes on a particular contour and urgency. The watchfulness, the patience, the forceful witness to “the cry of human entanglement,” as Meredith Quartermain aptly names it, are the binding forces of the poet’s desire “not to take the path of the indifferent” (47). Whether it be the war in Iraq, or the Gulf oil spill, or the various holocausts and historical depredations, the real sticks and drags its webbed feet, tattered remnants, illegible at times like that newspaper page “caught itself stolidly against a barrier / and would not blow away no matter what the wind’s direction” (32). That tangle, web, imbrication are the coordinates of the external world that DuPlessis is intent on gathering, even if it’s with nothing more than “ticks, shards, dots, smudges, soot” (85). It is in the very nature of this long, postmodern Canto to inscribe an ethical grammar with which to inhabit/inherit the earth we stand on, “ghost to mist, spark to fire, spoke to speak / over the scarp and into the night” (76). What the French have called littérature engagée since Sartre and Camus, can be said to be redefined here in the American present, reconstellated with an uncommon lucidity and a haunting vision. Lest one rush to make an easy amalgam of Drafts and the tradition of engaged writing such as, say, Carolyn Forché’s Against Forgetting: Twentieth-Century Poetry of Witness, valiant and indispensable as that project is, bringing Akhmatova, Ritsos, Celan, Lorca, Hikmet et al. to our shores, one must at once pause and reflect before leaping. Let us recall what Edward Said teaches us in The World, the Text, and the Critic: “The point is that texts have ways of existing that even in their most rarefied form are always enmeshed in circumstance, time, place, and society — in short, they are in the world, and whence, worldly.” What is unique about DuPlessis’s practice of worldliness, in “particulars of shock and numbness” has to with her very pronounced sense of doubt, even despair, at times, about the ultimate efficacy of lyrical language to “talk to the loss” (130), to account for the unbearable, to trace the arc between knot and knife, and yet she can do nothing but write the embedded words. I read this emblematic contradiction as a kind of AC/DC structure wherein one energy flow is directed along a wire, a conductor, a content, while in the other, electrons move back and forth, switching directions, agitating the signifying chain. “Rubble is continually before me. / Silence. The stalled train / blocks the grimy tunnel, its catenary off the current” (29). The result of such a movement, which is indubitably not just a formal strategy but an ingrained way of thinking about the paradoxical nature of contemporary lyric, accounts for the uncanny sensation that this language produces, at once song and discourse, narrative and silence, dream and psalm. 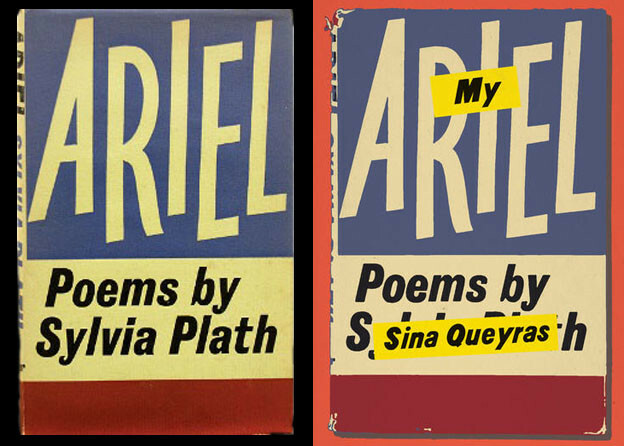 “The book is a mine / of intersections. Margins” (27). This to-and-fro passage, indeed a dialectic, neither marks twenty-first-century poetry as a positivist, a “yes, we can” machine, harnessed for maximum resistance and liberatory potential, nor a disconcerting Adorno-bound avowal of impossibility. And as Zukofsky reminds us in A Test of Poetry, poetry convinces by form rather than by argument; hence, we observe that often with DuPlessis, it is precisely in the middle of putting language into question, of doubting its means of changing this world of “Schande, Malfeasance, Fear” (117), that we come face to face with “the diva diptych of the page” (145), which is the pure jouissance of the signifier. The self-present erotics of the DuPlessian text, where signs like tender buttons leap and veer into each other, per/verse beauts, summons a phonocentric dynamic which says that the lyrical voice, in all of its materiality — “every hairy bit of matter and its sound / noise shed like light upon the littler / noises darkening below the syntax, / such hubbub …” (9) — claims its own necessity, or to put in Barthian terms, “The text of bliss is absolutely intransitive” (52). “As catches, caches / caught …” (2), the characteristic conjugation that opens Pitch might remind us of Celan’s Sprachgitter, insofar as poetic language becomes this inescapable sieve, grid, grille, which filters tones, pitch, tweet “with a go and a blow and a ho-T-ho / and a We and a twee …” (6). In this live mesh, sound pulses; air and light must pass between the bars. But what gets stuck in the grate, too thick to be trace elements, too lost, too rent, too irreducible, inassimilable, strange fleshy parts, “a clump of mud, a smear of dirt with memories” (82)? The judas hole snaps shut. “The page falls away” (29). Unspoken, at fixed intervals above the net, the enormity of the blackout, incalculable. The iteration of the song, insistent and voluptuous in the promiscuity of its phonemes as it might be, nonetheless extends to “the erotics of connection” (65) endlessly shifted, up and down, like broken chords in a musical scale. If contemporary readers and critics of DuPlessis’s Drafts project all agree on its compelling fold structure, ambitious range and sheer radicality, which consists in allowing the poem to implicate the world and to resist the bureaucratic boundaries stipulating what goes where in verse, on one hand, and then to enact a personal practice coterminous with a moral grammar and a “self-interrogation” (123) on the other, much less is heard about the marked tropism for shard, strip, mote, dot, shim, to name just a few of these minims, half and quarter notes which constitute the distinct music of this oeuvre: “small thin pieces of anything” (35). This preference is not without recalling the 1960s arte povera movement which brought us sculptures and happenings based on unconventional, everyday materials, rags and mirrors, nails and bedsprings, stones and branches. As if answering Derrida’s question, “Che cos’è la poesia?” Pitch responds, “La poesia povera” (91). Like a Jannis Kounellis piece made of nothing more than a coil of wire and a knife, the work here mobilizes the small, unglamorous mites and flecks, “the shattered bits of former structure” (92), the blackened piping, sooty ends of objects and daily remains of our common experience in an attempt to situate the hidden rips and gaps we slide over, oblivious to the missing letters, blind to the ones without shelter, deaf to the orphaned tune. I’m deliberately bracketing here the omnipresence of trace — “the was of words” — (168), as it would merit a sustained analysis of its own. The gift of Pitch, “homeless wandering poem” (144), begins with that territory, oh so achingly human, of crumbs and ashes. Here’s the task, as Creeley says in “Heroes,” repeating after Virgil, “hoc opus, hic labor est.” We are to understand that “going into death” (as Aeneas does in Aeneid VIII) is easy, but getting back up from Hades ain’t a piece of cake. The poet’s obvious confidence in the ability of “small powerful things” (78) to be placeholders for the “crimps and folds of loss” (87) lets the rubble zone become a page, an archive we touch dot by dot, line by line, lest we be struck with amnesia and “let the head smolder in its grief” (28). That Pitch’s scope and ethic reach, really, the hugeness of its heart is articulated via this minor regime, these pinholes and tiny bits that open up the abyss, foregrounds its own calculus with the im/possible task of the modern writer. Understood in a Deleuzian sense, the self becomes then a threshold, a line of becoming that DuPlessis posits as a fundamental structure of being. One can, here, make a further rapprochement between that entanglement of the social materials, really a kind of quantum Verschrȁnkung, “the cobble of languages” (136), and the inter-subjectivity, a being with in this new linked tenancy. Such a relational performance can best be read in “Draft 88: X-Posting,” a poem in which DuPlessis ventriloquizes Ingeborg Bachmann, using the language of “Keine Delikatessen” as if her “own.” “I then began trans-interpreting it, transposing it, elaborating, extending, varying it, working homophonically with the German, and creating my variation of it by writing a poem that started with hers and that in large measure tracks her argument in a free variation on Bachmann,” DuPlessis explains in her notes. So when we hear the lines: “I stand before you / foreign and distant, / (although near and constant) / wondering / whether any part of this is worth it” (113), and later on, “Who was that self? It isn’t as if this ‘I’ had gotten nowhere / is it?” (114–15), we indeed track the power of these encounters as a cultural and social bond across languages — a shared poetics which gives the lie to the old notions of the self as separate, private, stable core, to say nothing about the biting ironies of the pronouns. The foreign/native binary loses its habitual explanatory force as the new transcreation introduces an exchange between the two, de facto creating a third set where both are present without canceling each other out: “pensive intersections” (82). Do you claim to be the author of these terms? No, this was something beyond authorship. But you say this isn’t written in your “voice”? No. It is not, and it is also not not. Accused by the interrogator of having appropriated and abused “her poem,” the writer offers her explanation: “Between the points that shift / when I listens and you speaks / we both wander a third grammar, a tertium quid” (125). In other words, the speaker is both haunted and haunting the text as a way to shatter the normative burden of representing the I that enters the poem: “making an entanglement or a net of entrapment / that the word ‘between’ begins to answer for” (125). This kind of hauntology, to use a concept-metaphor from Derrida’s Specters of Marx, exposes the tenuous nature of the present which is always already contaminated by the figure of the phantom. It is precisely this neither live nor dead ghost that DuPlessis invites in, gives it food and shelter and calls it “between” (125) in order to “gather up our / nothingness and wait inside the unbearable” (126). “ghost tracks / underneath train stations, / where ghost people stand / awaiting embarkation” (30), to my mind could serve as a powerful autorepresentation of the DuPlessian topos. If I seem to have been too partial to a reading which privileges conversations with the dead and therefore orients the text toward a past and its specters, I need to reassert the generative power of Pitch, which is built in the very structure of Drafts, i.e. folds, versions, variations, provisional and unfinished that carry their own DNA for future works. The commingling coexistence of temporalities chimes in with the notions of interstice and reinscription that the poet conjugates as “began-begins” (142), “rearticulating time” (20). To work through the “Age of ash” (102), unfathomable, chthonic time, frayed like an old tallith shawl to the yes of tomorrow, draws a new arc in the sky. “Here’s the pitch — / Here’s the argument” (7). 1. Rachel DuPlessis, Pitch: Drafts 77–95 (London: Salt, 2010), 60. Subsequent citations given parenthetically. 2. Edward Said, The World, the Text, and the Critic (Cambridge: Harvard University Press, 1983), 35. 3. Carolyn Forché, Against Forgetting: Twentieth-Century Poetry of Witness (New York: Norton, 1993), 125. 4. Louis Zukofsky, A Test of Poetry (New York: C. Z. Publications, 1980), 52. 5. Paul Celan, “Sprachgitter,” trans. Michael Hamburger, in The Vintage Book of Contemporary World Poetry, ed. J. D. McClatchy (New York: Vintage, 1996), 212–13. 6. Jacques Derrida, “Che cos’è la poesia?” in A Derrida Reader, ed. Peggy Kamuf (New York: Columbia University Press, 1991), 221–37. 7. Robert Creeley, Robert Creeley: Selected Poems: 1945–2005 (Berkeley: University of California Press, 2008), 71. 8. Marjorie Welish, “Artist’s Statement,” in Lyric Postmodernisms: An Anthology of Contemporary Innovative Poetries, ed. Reginald Sheperd (Denver: Counterpath Press, 2008), 252. 9. See Jacques Derrida, Specters of Marx: The State of the Debt, the Work of Mourning, and the New International, trans. Peggy Kamuf (New York: Routledge, 1994).